Forget the old saying that it is wrong to be overdressed. That adage was promulgated before sweats and trainers became the lowest common denominator and denim the trouser for better occasions. Now it would be too much to wear a suit when everyone else is in cut-offs and tees, but dressing one step more formally than the majority of people at any social gathering is definitely more in than out of place. 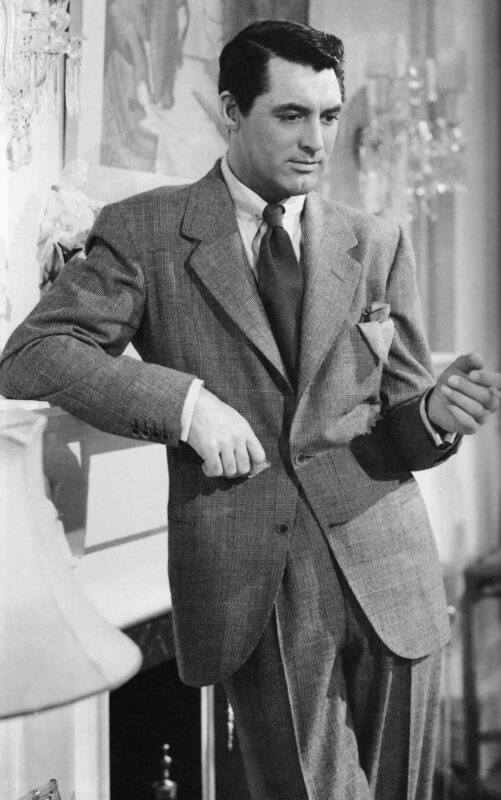 That is the time for something like Mr. Grant’s glen check suit (perhaps worn with a rollneck instead of a necktie) when others are in blazers and cotton trousers. Just make it an ensemble that would obviously not be worn to the office. Be overdressed. It is so easy to do. Along similar lines is this article titled Dress Like the Great Depression. ‹ PreviousHow and why do myths arise?